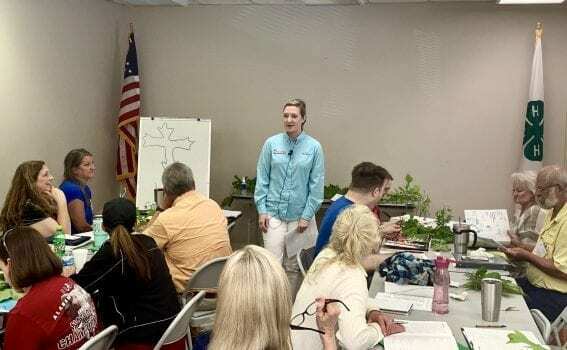 Who are Chilton County Master Gardeners? The Chilton County Master Gardeners Association is a non-profit 501(c)(3) charitable organization consisting of trained volunteers that work in partnership with county and Regional Extension Agents. We are wholly supported and funded by membership dues, donations, and fundraising efforts. Master Gardeners participate in activities that promote research-based horticultural information and enrich communities. This includes activities such as a “Ask a Master Gardener” booth, community landscape beautification projects, Demonstration Garden, and environmental awareness education. To learn more about plants and horticultural practices and to enrich our local community. Submit an application and fee to the Chilton County Extension Office, attend classes, and contribute 50 hours of volunteer time working on CCMGA projects. Master Gardener Application. For more information contact the Chilton County Extension Office at 205-280-6268.